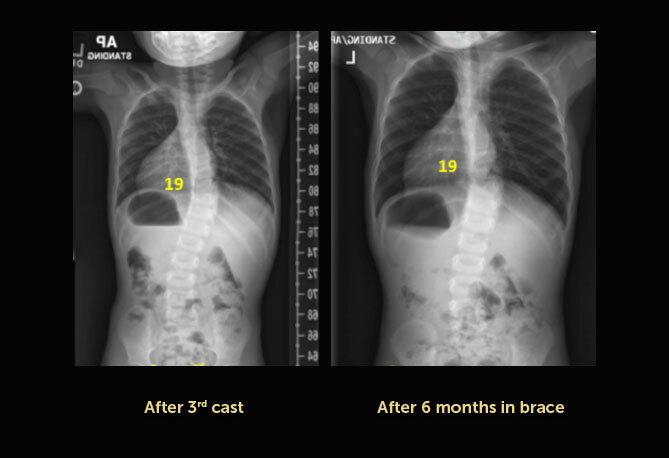 Santiago is a young boy from the Dominican Republic with Idiopathic Infantile Scoliosis. He first came to see Dr. Vitale when he was 16 months old for a second opinion. He had been treated previously with two Cotrel casts. Unfortunately, after the casts were removed his curve had rebounded to its pre-casting size of 45 degrees. Given his young age and flexible curve Dr. Vitale recommended a trial of Mehta casting. These casts were applied under anesthesia which allowed Dr. Vitale to achieve an excellent correction. After each cast was removed an x-ray was taken. Over time, the curve was observed to be trending down. 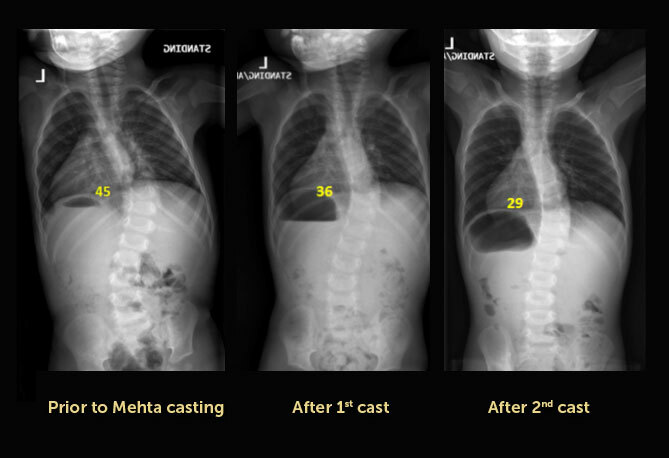 After the 4th Mehta cast, Dr. Vitale transitioned Santiago into a brace and his curve remained steady at 19 degrees 6 months later. Throughout the casting process Santiago remained a happy and active boy and he continues thrive.